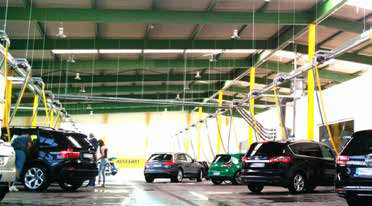 A modern car wash uses a most diverse range of cleaning agents and care products. But not every cleaner achieves the same results on every car wash system. The right combination of active ingredients, precise adjustment of temperature and time to the mechanical components and the exact dosage of active ingredients are subtleties that have a significant impact on the quality of the wash result. 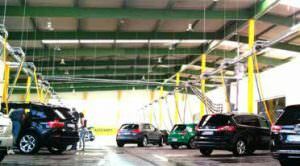 Every car wash is different in terms of its chemistry and mechanical components as well as the way that the business is set up. 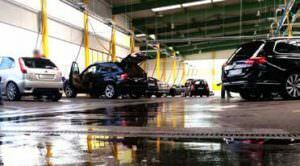 Only when all relevant factors are exactly balanced is the car wash adjusted in such a way that it delivers brilliant results in respect of qualitative and economic aspects. 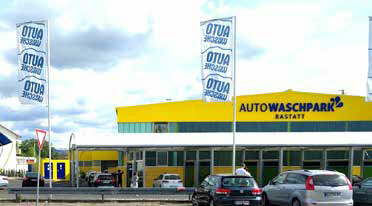 Autowaschpark Rastatt operates a system from Holz Autowaschtechnik. The water is treated using technology from Nais. Caramba reviewed all cleaning and care products used in this environment in respect of economic aspects and cleaning chemistry. For this purpose, several wash tests with alternative products at different dosages were carried out. 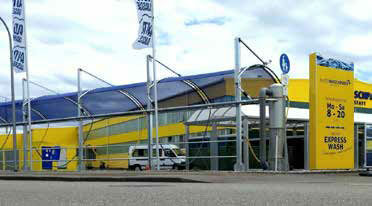 A considerable potential for optimisation was identified in the case of the consumable products. Caramba recommended switching to cleaning agents that could be better aligned to the process chain. Due to more detailed data, the dosage of the individual components could be optimised. By keeping the Caramba operating book and carrying out monthly performance reviews, the customer was provided with an important cost-monitoring tool. Through the advice on the application technology, the cleaning potential of the wash system could be harnessed better to the wash system. 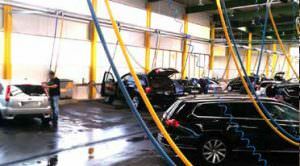 With the Caramba operating book and the monthly performance reviews, the customer had useful monitoring tools that simplify the work from an economic point of view and which lead to a more efficient wash result as well as higher customer satisfaction.